Welcome again as we begin our transition into the wet season and the public duty demands on our Volunteers goes into decline. It has been a hectic year for our Volunteers and Marketing team with a record number of requests being met with the latest at the Defence Force Open Day that was very successful. Defence will become a bigger and most important Community group in the Darwin environment in the years to come. 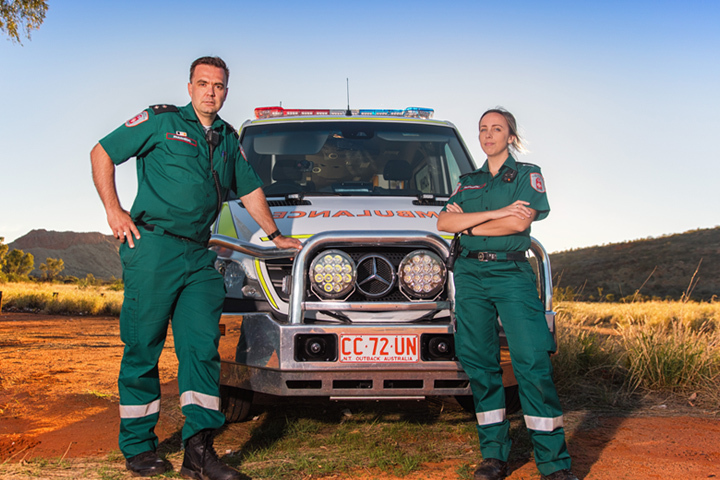 the Paramedics in the NT continue to deliver a top quality service that has not gone unnoticed by the Community and an evening such as this is a great way to pay tribute to the work all our Paramedics perform. We were the hosts for the National St John Ambulance Board and CEO groups quarterly meetings here in Darwin during the month and a big thanks goes to John “Foxy” Robinson for the use of his Board room – it was difficult to keep everyone concentrating when they had such great views, looking out over the harbour precinct, to distract them. The meetings are strongly focussed on how St John Ambulance as a Charity can exist in the Community in 20, 50 years and beyond window as the focus on Volunteering changes and increased competition for our products grows. The focus of St John Ambulance is to make the Community aware that for every $1 spent with us, any surpluses go directly back into the Community through our Volunteer events of school based education training. An example of that is we celebrated our 1 millionth student trained in first aid through the National free First Aid in Schools Program. It was pleasing to be recognised by the Chamber of Commerce as their Charity of Choice at their recent Golf Day and we thank all you that participated in our biannual raffle that was drawn earlier in the month. It is a shame we do not have a Paspaley for everyone but the winner of this main prize was very excited. Thank you all again for your ongoing support of our fantastic and hard working Paramedics, Trainers, Volunteers and support staff. Congratulations to all of the Paramedics who were nominated for this year’s NT Paramedic of the Year awards held earlier this month at Parliament House and hosted by The Department of Health, Minister Peter Styles MLA and Professor Len Notaras AM. This award helps to raise the profile of Paramedics in the Territory and provides an excellent forum for well deserved recognition of dedicated service. MONIQUE FYNN of Darwin for New Practitioner – awarded to an officer who has been in the role for less than three years, can be located in any region Territory wide. DAVID COWAN of Darwin for Peer Nominated – awarded to an officer who has been identified by their peers as displaying the above qualities. STEVE SCHRIEKE of Tennant Creek - Paramedic Southern Region – awarded to an officer displaying the above qualities located in the Tennant Creek or Alice Springs area. SAMANTHA COOPER - Paramedic Northern Region – awarded to an officer displaying the above qualities located in a centre in the Darwin, Katherine or Nhulunbuy area. SAMANTHA COOPER - NT Paramedic of the Year 2016 – an overall winner will be honoured from all of the nominees. Congratulations to all of the nominees for the 2016 awards as each nomination received is a wonderful compliment to each Paramedic. It reflects their outstanding level of care, dedication and the professionalism they provide to the Northern Territory community, which is often not recognised. St John Ambulance Australia (NT) Inc congratulates the winners of the 2016 Fundraising Raffle drawn on Friday 29th July 2016 at 4pm. We would also like to thank everyone who purchased tickets in our fundraising raffle and we wish to acknowledge the support of our very generous raffle sponsors for the wonderful prizes. Thank you also to the many businesses across the Territory that assisted us in selling raffle tickets. Fourth Prize – Ticket No. 1111 Skycity - 1 night accommodation in a resort room, including couples package at Lagoon Day Spa and dinner for two. Fifth Prize – Ticket No. 0052 CSG - Samsung Tablet A with S pen. Valued at $449.00. We would like to advise that the following ticket numbers were not part of the draw due to loss or late delivery: 2805, 1560, 1556, 1771-1785. The following tickets were sold but misplaced prior to the draw: 1991-2000 and 2011-2020. If you require a refund of your ticket purchase, please call us on 08 8922 6202. Thank you to our valued supporters of the raffle! First Aid In Schools – 1 million students! Earlier this month, St John Nationally achieved a major milestone in our First Aid in Schools Program, having taught first aid to our 1 millionth child in Australia through the free program. We think this is an amazing effort. Primary schools are the centre of Australian Communities and school aged children can play a vital role in promoting and administering first aid, particularly at home. St John is committed to teaching first aid to school students, as the skills taught not only could save a life, but can build community resilience and give children the confidence to assist in times of need. Within the Territory, we are very proud of how our program has grown over the past seven years. In the 2015’16 financial year, we have been able to teach some form of age appropriate first aid skills to 14,083 school children Territory wide. While this is a fantastic achievement, it still does not cover all children who could potentially access the skills. We are continually working with schools both urban and remote to ensure that no child is disadvantaged. If you would like to know more about our Free First Aid in Schools Program, click here. Congratulations to Anne-Maree, winner of the e-newsletter signup competitio a Personal Motoring First Aid kit valued at $38.50. St John would like to sincerely thank the Chamber of Commerce NT for their valued support, nominating St John Ambulance NT as the Charity of Choice at their annual golf day held at the end of July. Thanks to all of the members who attended the day and helped to raise $1000 for St John Ambulance NT Volunteers, your generosity is greatly appreciated. For more information on the Chamber of Commerce, visit their website at www.chambernt.com.au.